My first batch of holiday cookies!! Since I have become 100% gluten free, I have forayed into GF baking a bit. I have never been much of a baker to begin with. I created a muffin here and there and a birthday cupcake now and again, but keeping my kitchen stocked with home baked goods has never been my thing. Then there is gluten free baking, which is a whole different bag of flour – literally. For me, the goal is to make a baked item that still seems like it’s packed with gluten. Let me tell you – it’s hard! Butter really helps because butter makes everything better. However, I also learned the hard way that xanthan gum is essential. This is the binder that holds your baked goods together, just like gluten. Otherwise you’ve got a crumbly, dry mess. Some gluten free flour blends include it and others don’t. Just check the ingredient list. 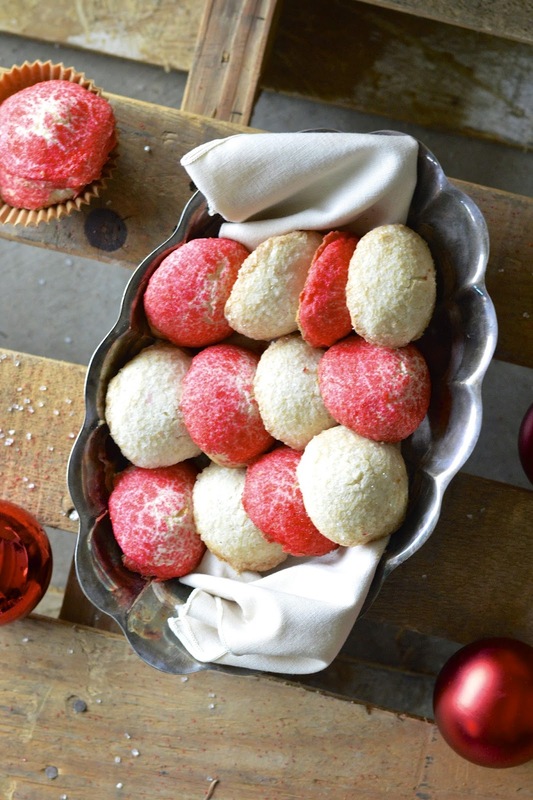 These soft sugar cookies are the perfect venue for Christmas or Hanukah sprinkles. 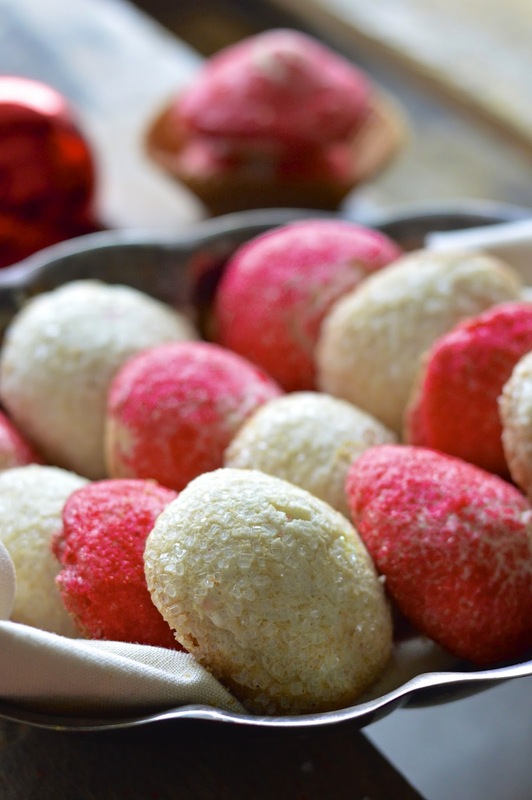 I had some red crystals on hand and some beautiful, shimmering sparkling crystal sugar to create some festive cookies. 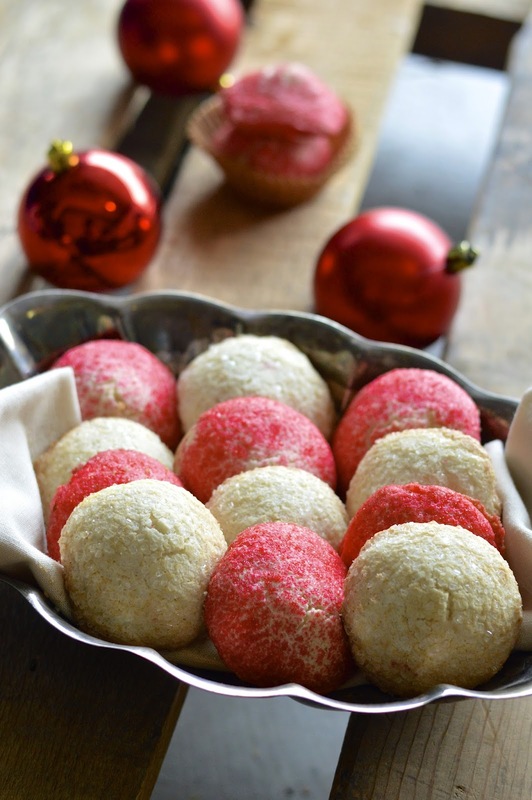 I adapted this recipe from the Minimalist Baker because I love soft sugar cookies. Crunchy ones do nothing for me. I decided to bump up the butter a little because the holidays just scream decadence. I look forward to making more gluten free holiday treats this year and refining my GF baking skills to bring you some really heavenly desserts and snacks. In a large bowl beat the butter and sugar until light and fluffy. Add the egg and vanilla and beat until thoroughly combined while scraping down the sides. In a small bowl mix together gluten free flour, zanthan gum, baking powder and salt. Alternately add flour mixture and milk into butter mixture and beat until a firm dough forms. Cover bowl with plastic wrap and refrigerate dough for 2 to 3 hours or overnight. Preheat oven to 375° F. Line two baking sheets with parchment paper. Pour sprinkles into small shallow bowls. 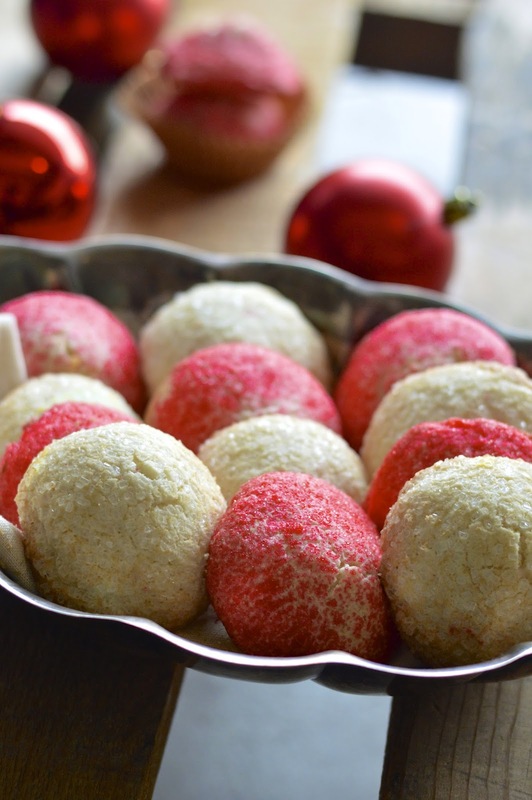 Scoop rounded tablespoons of dough (or use a small cookie scoop) and roll into balls. Dip balls into sprinkles leaving a small spot clear to set on cookie sheet. Place dough balls on cookie sheet, 2 inches apart to allow for spreading. Bake cookies for 10 minutes in the center of the oven. Cookies should be lightly browned on the bottom and firm to the touch. Let cool on pan for 3 to 5 minutes and then transfer to a cooling rack with a metal spatula.